From sales rack to cult classic. This month we’ll see the return of the “Mocha” Air Jordan 3, of which we haven’t seen in quite some time. The model’s brown/white iteration initially launched back in 2001 and didn’t receive the same reception as the favored “Black Cement,” “White Cement” and other original editions worn on court by MJ, but rather found popularity with the cult Jordan fans. Back in OG form, its tumbled leather upper is retroed in crisp white with the elephant print detailing on its heel and toe shared in the “Mocha” shade. Lastly, the aforementioned brown hits are matched on the Jumpman branding in addition to portions of the outsole. 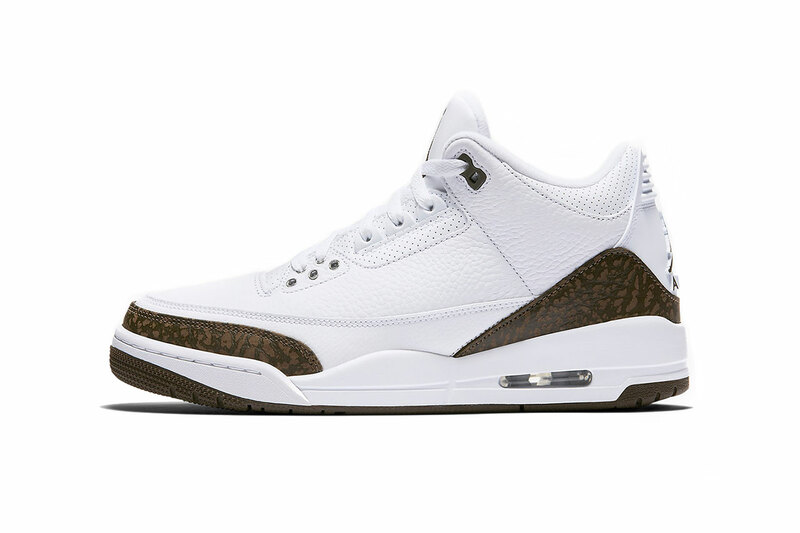 The Air Jordan 3 “Mocha” arrives on December 15 for $190 USD at select Jordan Brand retailers and Nike SNKRS. In related Jordan Brand news, you can take a look at Rox Brown’s Air Jordan 1. Advent Calendar Day 8: Air Jordan 3 "AWOK"
Celebrating the life and birthday of Mandela.